Having Medicare for retirement is one of the smartest decisions for your golden years. Healthcare is among the biggest expenses that seniors face and can quickly diminish retirement savings. Medicare can help cover many of these costs. The experienced team at The Holiday retirement community provides an overview of Medicare coverage to give you an idea of how it works. What are your Medicare Insurance Options? 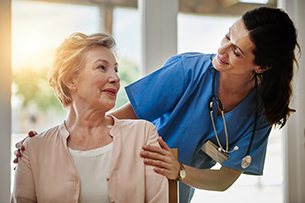 Medicare Part A (Hospital Insurance) helps pay for your care in a hospital, skilled nursing facility, nursing home, hospice, and also pays for certain types of home health services. You also have the option of enrolling for health plans from private companies that contract with Medicare. Medicare Part C (Medicare Advantage Plans) typically provides you with all Part A and B benefits. This includes Health Maintenance Organizations, Preferred Provider Organizations, Private Fee-for-Service Plans, Special Needs Plans, and Medicare Medical Savings Account Plans. Most such plans will also offer prescription drug coverage. It is important to understand that if you have a Medicare Advantage Plan, services are not paid for under the Original Medicare. 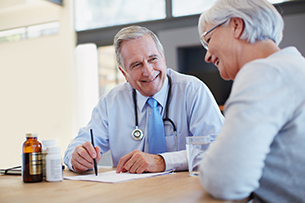 Medicare Part D (Prescription Drug Coverage) adds coverage to the Original Medicare, some Medicare Cost Plans, some Medicare Private-Fee-for-Service Plans, and Medicare Medical Savings Account Plans. How to Choose Medicare Coverage? Understanding your health insurance and requirements is critical to determining which Medicare plan works best for you. Premiums and deductibles are important considerations in the selection process. For instance, with Original Medicare (Parts A and B), there is no limit on out-of-pocket costs for the year. This can be expensive unless you have supplemental insurance like retiree coverage as part of a group health plan from a former employer or Medigap (Medicare Supplemental Insurance). In such situations, Medicare generally pays first for your health care bills and your group health plan coverage pays second. Medicare Advantage Plans, on the other hand, have an annual limit on out-of-pocket costs. Evaluate how well each plan covers the services you need. If you have other types of health or prescription drug coverage, make sure you understand how that coverage works with Medicare. If you or your elderly parent cannot afford to pay for Medicare premiums and other medical costs, you may be able to get help from your state. When to Enroll for Medicare? Most Americans age 65 or older are eligible for free Medicare Hospital Insurance (Part A), provided they have worked and paid Medicare taxes long enough. You should plan to sign up for Medicare Part A 3 months before your 65th birthday. Your initial enrollment period is from 3 months before your birthday to 3 months after. Since you will have to pay a premium for Medicare Part B coverage, you can opt out of it. However, enrolling later may involve a late enrollment penalty. You will have another chance to enroll for Part B during the general enrollment period from January 1 to March 31. At The Holiday retirement communities, we offer high-quality services to help our seniors retire in style. A wide range of exciting programs and activities keep our residents active, happy and fulfilled. Our well-appointed accommodations with personalized care by a dedicated team will make you feel like you are on a permanent holiday. You or your elderly loved ones can enjoy the company of friends while maintaining independence and privacy. It is a place you will love to call home.